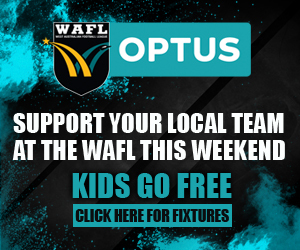 The Optus WAFL season kicks into gear this weekend and we take a look at the ins and outs of each team heading into 2019. 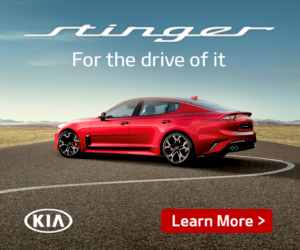 The season begins on Saturday April 6. The Tigers enter 2019 full of confidence after a strong campaign during the Finals Series last year. Dec Mountford, Callan England and Jack Bradshaw all return to Claremont Oval, while Beau Maister and Keifer Yu are the only key outs for the side. Some AFL experience is sure to bolster the midfield giving the yellow and blue a real chance at a top 4 finish. New arrivals have sparked optimism at Shark Park as East Fremantle look to rebound from a tough season in 2018. Luke Strnadica and Kody Manning headline a host of inclusions, while Jonothan Marsh gets his chance in the AFL system again joining St Kilda. Tom Joyce has joined Brisbane, while George Hampson will play with Swan Districts in 2019. Ins: Luke Strnadica (Fremantle), Alex Bray (Peel), Kody Manning (WP), Morgan Davies (Claremont), Michael Tassone (Peel), Tom Bennett (Return), Kyle Baskerville (Return), Jesse Adamini (Return), Kyle Havelberg (Peel), Andrew Stokes (Return), Kennedy Sorrell (Return). East Perth begin the new season in uncharted territory after ending their alignment with the West Coast Eagles. A large player turnover will see the Royals enter a new era, adding VFL midfielder Angus Scott to their ranks. The retention of former West Coast Eagles Tarir Bayok and Tony Olango will bring plenty of experience. Peel Thunder ended their 2018 campaign wanting more after exiting at the hands of Claremont. Jackson Merrett returns from Essendon in a major coup for the Thunder, while some mature age recruits at Fremantle could take Peel to the next level. Ins: Ryan Bennell (Swan Districts), Matthew Beogensperger (Subiaco), Andrew Bondarczuk (South Bunbury), Jordan Falco (South Bunbury), Ray Giudici (Donnybrook), Ben Harding (East Fremantle), Jaidon Kearing (Pinjarra), Daniel Lloyd-Smith (Bunbury), Kai Luzi (South Bunbury), Jackson Merrett (Essendon), Heath Ryder (Eaton), Oli Walton (Baldivis). 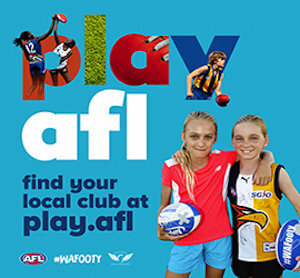 Outs: Kaine Ah-Chee (Pinjarra), Zac Beckman (Mandurah), Alex Bray (East Fremantle), Jackson Burkett (Mandurah), Jackson Capurso (Subiaco), Karl Collard (Eaton), Matthew Dean (Brookton-Pingelly), Jake Dowding (Kellaberrin), Michael Humble (South Mandurah), Ash Humphries (Rockingham), Jacob Janzekovich (Rockingham), Leroy Jetta (Brookton-Pingelly), James Kirby (Kalgoorlie), Joshua Mathers (Warnbro), Brad McGowan (North Fremantle), Joshua McMahon (Rockingham), Nick Merrett (Pinjarra), Brett Milward (Pinjarra), Joel O’Driscoll (Pinjarra), Michael Tassone (East Fremantle), Brad Walsh (Rockingham). A quality brigade of inclusions could see Perth return to the finals for the first time in 31 years in 2019. Former North Melbourne forward Gordon Narrier returns to his boyhood club, while triple premiership star Chris Bryan joins the Demons. Matt Rogers spent some time at the Swans but will suit up in red, while Spencer White has moved back to Melbourne. Ins: Gordon Narrier (Nth Melbourne - returning), Chris Bryan (Subiaco), Matthew Rogers (Swan Districts – returning), Che Wyatt (Subiaco), Josh Burke (Sydney Uni - returning), Zareth Roe (Calingiri - returning), Cody Kickett (Tom Price - returning), Jacob Payne (Margaret River - returning), Jake Becroft (North Albany), Jack Steel (Canning Tigers), Jack Schwarze (Blacktown - Sydney), Tristan Jackamarra (Moora), Guy Langdon (Dampier), Riley Pobjoy (Willetton), Tom Tomizzi (Claremont), David Gare (Belmont), Matt Thompson (Mundijong Centrals - returning), Cody Allan (Dalwallinu), Darby McCarthy (North Beach), Brendon Erceg (Mundijong Centrals). Outs: Spencer White (Return to Melbourne), Ben Giobbi (Return to Melbourne), Devin McFarlane (Retired), Laine Wilkins (Retired), Kurtis Chester (Travel/Goomalling), Brad McPhail (Retired), Joe Ugle (Melbourne/study), Jake Schleicher (Willetton), Jordan Henderson (York), Chris Leonard (Curtin Wesley), James Corner (Curtin Wesley), Harry Sankey (Travel/Curtin Wesley), Ben Power (Trinity Aquinas), Redmond Dobson (Trinity Aquinas), Taran Etto (Beverley). The Bulldogs will look to youth for the upcoming season after a number of club stalwarts called time on their storied careers. Cory Dell’Olio, Ryan Cook, Ashton Hams, Shane Hockey and Ben Saunders have all left the WAFL, paving the way for some young guns to shine at South Fremantle. Former Hawthorn midfielder Kade Stewart returns, while Matt Parker has started is AFL career with St Kilda in fine fashion. 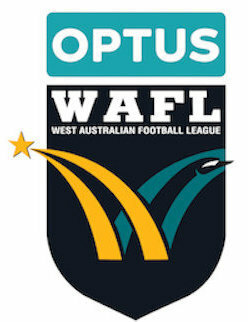 Subiaco entered WAFL folklore in 2018 after clinching all three WAFL grades, with their league side going the entire year undefeated. 2019 presents a new challenge with some classy names missing from their premiership defence. Zac Clarke and Luke Foley will ply their trade in the AFL, while premiership winners Chris Phelan, Brad Stevenson, Adam Cockie and Chris Bryan have all departed the club. Harry Marsh is the big inclusion, coming across from the Sydney Swans. The Swans narrowly missed out on a finals berth in 2018 and approach the new season with a strong level of confidence. George Hampson comes across from East Fremantle as the reigning best and fairest winner, with former Fremantle livewire Josh Simpson bringing excitement to Steel Blue. Todd Banfield and Kirk Ugle have both retired from football. The West Coast Eagles will field a standalone team in the WAFL, giving the competition its 10th team in the process. Fraser McIness will captain the side in the inaugural season, while Brady Grey is the big-name recruit from Fremantle. Keegan Brooksby will add depth in the ruck department, giving the talented midfield first use. Last year’s Grand Finalists fell just short of another premiership and will begin the new campaign with a fresh slate. Geoff Valentine has replaced Bill Monaghan as head coach, with the club retaining plenty of talent from an exciting year. Jay Van Berlo has retired, with Luke Meadows and Kody Manning both exiting the club. Outs: Max Alexander – retired, Matt Guadagnin – retired, Chris Keunen – retired, Jay Van Berlo – retired, Tyrese Miller – retired, Kody Manning – East Fremantle FC, Alex Coe – West Coast Eagles FC, Luke Meadows – Box Hill Hawks (VFL), Steve Potente – work commitments, Angus Allen – Whitfords FC, Bailey Ash – Whitfords FC, Daniel Del Prete – Cervanties FC, Nijal Eades – Ellenbrook FC, Ewan Larmett - Whitfords FC, Nick Marinovich – Whitfords FC , Bailey Marriott – Mt Lawley FC, Sam Murphy – LA Dragons FC (USA), Zac Turner - Whitfords FC.